The Puluahaua crater is a unique collapsed caldera formed about 2500 years ago. It is unique in many ways including its bird life an it is part of our national reserves. I am not a big fan of Owls because they require nocturnal searching and it is very difficult to find them. In the three years that I have been birding in this crater I have seen five owls which are Rufous-banded Owl, Andean Pigmy Owl, Great-horned Owl, Barn Owl, and Burrowing Owl. So far I have only been able to photograph three: Great-horned Owl, Burrowing Owl, and Barn Owl. Here are only two decent photos. I saw the Rufous-banded Owl and the Andean Pygmi Owl only once, unfortunately I was not able to get any photos. I also hear regularly the Stygian Owl very close (500 ft) away from my lodge but I still have to see it. This Owl is extremely cautious and as soon I as I start approaching him, he shuts up and flees. The other three owls found in this crater have been heard and/or seen by other birders that have visited the crater. 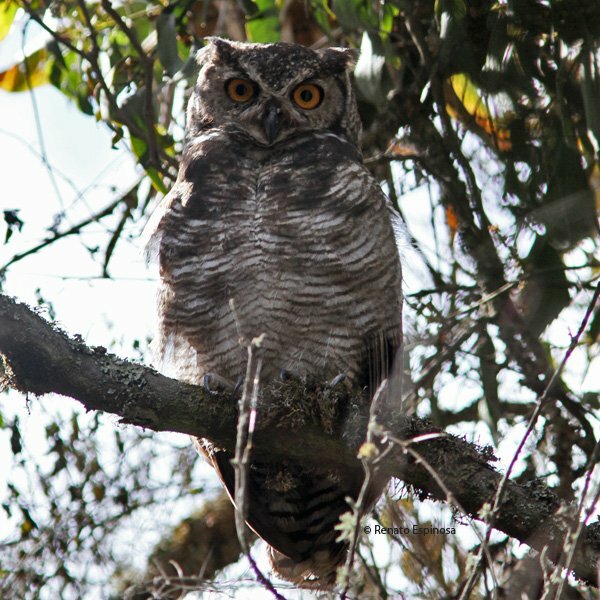 The most important of these is the Buff-fronted Owl which is considered very rare in Ecuador and has been spotted by Juan Carlos Calvache a reputable Ecuadorian guide. Also I received information of sighting a Short-eared Owl and hearing a White-throated Screech Owl. This amazing collection of Owls is very representative of the highland owls found in Ecuador and confirms the uniqueness of this crater and the reasons for its conservation. What a great collection of owls for one spot! I hope you see that Stygian and find a Buff-fronted. I visited the Pululahua crater last month with some friends and saw the Burrowing Owl you comment. I think we saw you (we were in a taxi cab)… but I only realized that back in home! Great place indeed! @Pat: I will post it as soon as I see it! @Jan: Now way! What a bummer, I would certantly have enjoyed talking to my fellow 10000birer. @Pat: I finally heard the Buff-fronted. I will post when I see it.